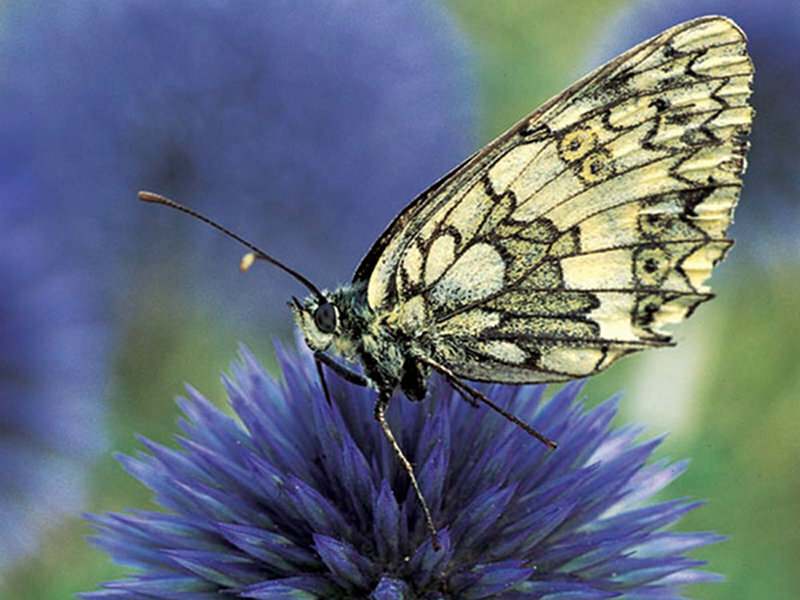 - the GAE tour guides illustrate the naturalistic and historical beauties of the Reserve. A modern and portable electronic tool suggesting visitors a new way to discover the territory and its various features, autonomously and according to their own pace. For several years the Golden Eagle has been nesting in the walls of Furlo. On the occasion, at loc. 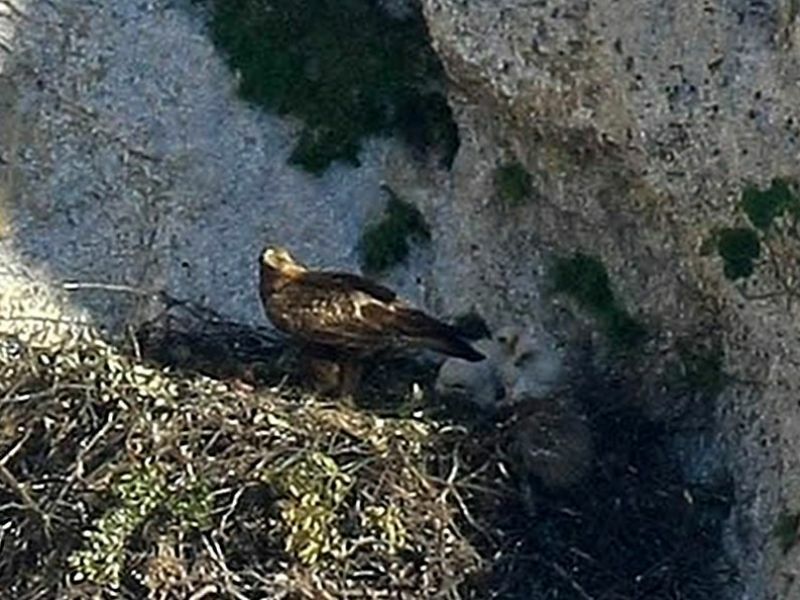 Grotta del Grano, an expert of the Reserve will be at your disposal to illustrate the life and behavior of this and other birds of prey nesting within the Gola. 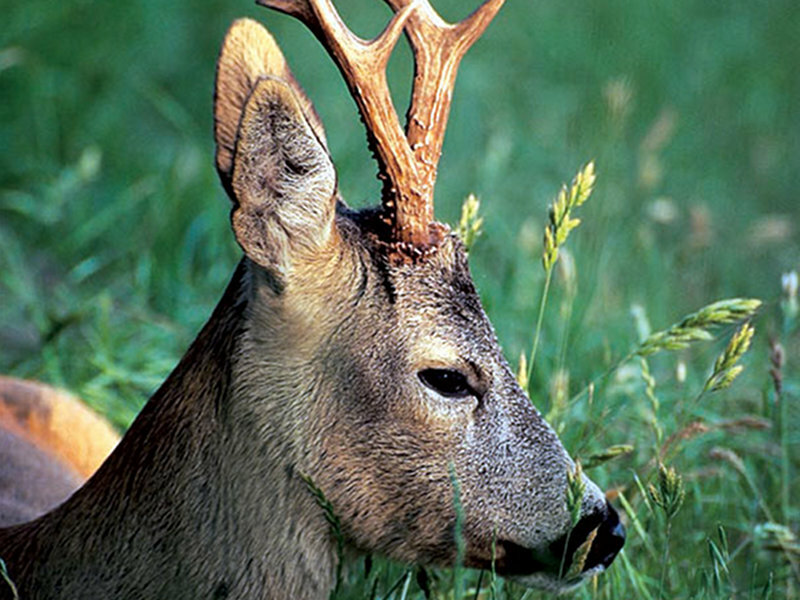 For school groups, the Reserve offers free guided visits along the pedestrian route running along Via Flaminia, on the left of river Candigliano. 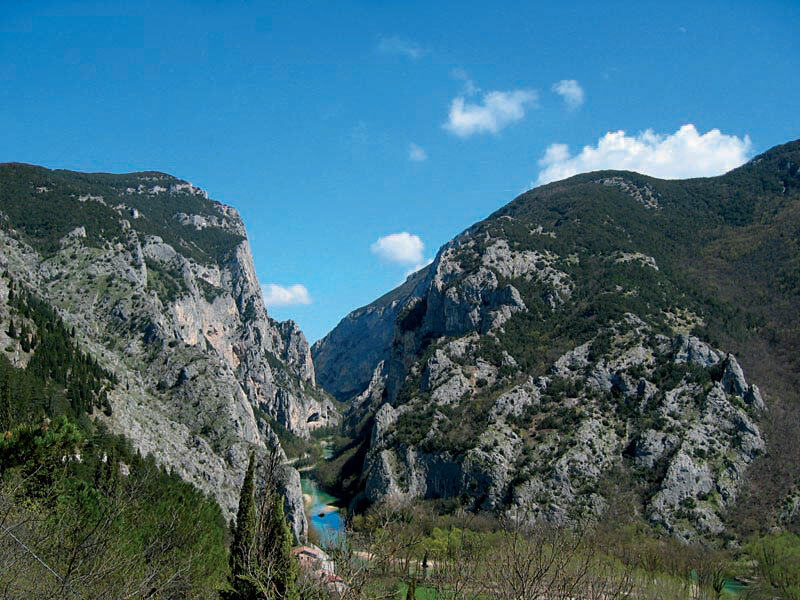 An easy tour developing along a flat trail, rich in emotions: the best way to appreciate the historical-naturalistic features of this territory and observe the several flowers and birds of prey living on the charming and steep walls of the Gola. Tour and trekking service by previous booking, every day on demand, addressed to non-organized small groups and organized groups with specific needs like schools, environmental education centers, education center for people with disabilities, cultural and sports associations, etc. The tours will last the whole day and will be carried out on Sundays and holidays, from May 2012 to December 2012. The service will be carried out with a minimum of 8 participants. Booking required within noon of the day before the date of the tour. Meeting at the IAT Point of Gola del Furlo State Nature Reserve. Transfer to the beginning of the trail by your own car or shuttle bus of the Nature Reserve. It is required to wear sports clothes with trousers and trekking shoes. The participants will have to bring their own packed lunch. This proposal is addressed to non-organized small groups and organized groups with specific needs like schools, environmental education centers, education center for people with disabilities, cultural and sports associations, etc. Meeting at the IAT Point of Gola del Furlo State Nature Reserve. Transfer to the beginning of the trail by your own car or shuttle bus of the Nature Reserve. or you can hand it in directly in the Head Offices of Gola del Furlo State Nature Reserve in via Flaminia 36, Località Furlo di Acqualagna. For further information, please contact the IAT Point of Gola del Furlo State Nature Reserve Tel. +39 0721 700041.